When we read about the death of Christ, we can’t wait to get to Easter morning. We want to see Christ victorious! But even in our enthusiasm to see good triumph over evil, it’s easy to miss how Jesus’s death and resurrection are actually the greatest motivation we have for everything good that we do every day of the week. Without the resurrection of Christ from the dead, we have no ability to obtain salvation or relationship with God. But since Christ died and rose again, we can obtain fellowship with Him. And we can take the Good News of Jesus Christ to others who need Him, too. Because of the resurrection, we take mission trips, start Christian schools, build Gospel-believing churches, and run Christian camps. Without the death and resurrection, we have no hope that the painful details of this life are temporary. Without Easter, our current events (drought, starvation, disaster, and death) are the best things we have. But because of Easter, there is coming a day when those who know Christ as Savior will be free from the aches and pains of this life. Grief will be missing from the language of Heaven. Because of Easter, the worst events in this world pose no eternal threat to the child of God. Millions of orphans need hope. Thousands of children coming in and out of foster care need dignity and comfort. Millions of vulnerable kids around the world need the compassion and intervention of loving adults. Where do we find hope amid the brokenness? Easter. We have a God who mourns with us and has demonstrated that sin and pain will never have the last word. God delights in bringing beauty from ashes. We have this hope as an anchor for the soul (Hebrews 6:19). Because of Easter, Jesus is the greatest hope for every hurting heart. Later this month, we’ll observe Easter. Let’s remember that we gather, we serve, we love, we care, we devote, we reach … we visit the orphans and widows in their distress and keep ourselves unstained by the world (James 1:27) because of Easter. 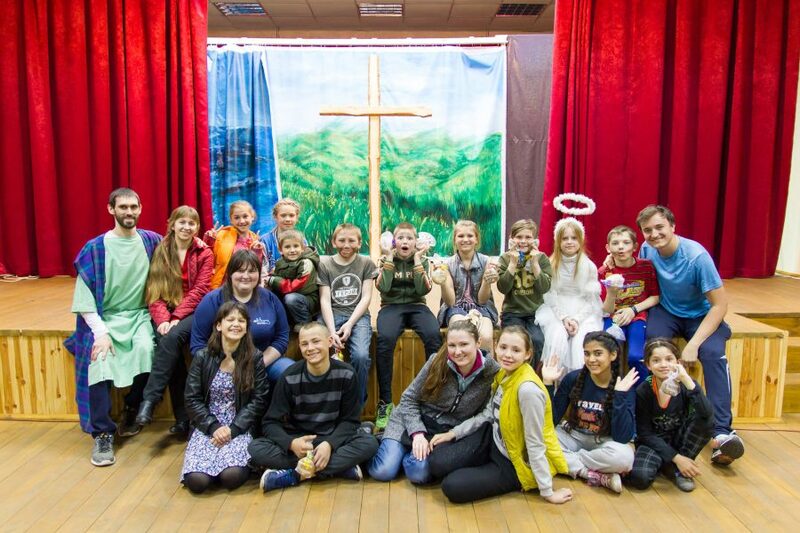 *The photo at the top of this post is of our kids in Ukraine celebrating the Easter story. In brokenness + beauty, it is well. Each story is different, but whenever we come near to our world’s hurt, we share in its pain. Join us at CAFO2019 next month to learn how the power of Christ’s resurrection and the fellowship of His sufferings have everything to do with how and why we care for children in need.